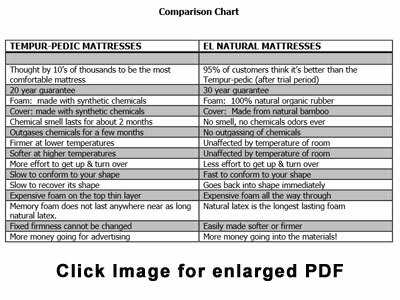 The El Natural Mattress is 100% Natural white latex (highest quality) made from organic rubber plants, processed with only purified water, then airated, formed and baked. No chemicals, no smell and no outgassing of chemicals. This is the expensive hard to find all natural latex not to be confused with man made or mixed non-natural low quality latex. In ours, the all-natural latex is 8” thick. Most everybody else just uses the expensive foam on the very top thin layer only. Naturally hypoallergenic and anti-microbial properties resist development of any common germs, bacteria, mildews and dust mites. Pure natural laytex is expected to out last all other mattresses. Special formed open air cell structure provides natural ventilation systems, keeping things fresh and dry. FREE TRIALS IN SAN DIEGO COUNTY. NO INTEREST PAYMENTS O.A.C. WARRANTY: although the mattress has a 30 year guarantee, the soft and extra soft top layers are NOT covered under the 30 year warranty. The soft and extra soft layers may need to be replaced long before the 30 year guarantee has expired. This is due to the higher air content in the soft and extra soft layers making the natural latex less durable. 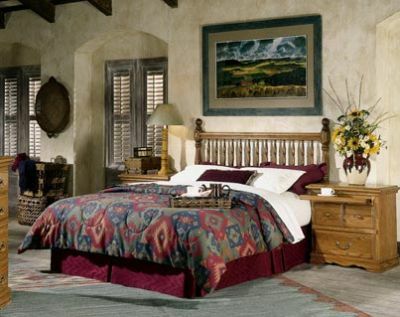 However, replacing the softer layers is easy to do and not real expensive.